We are all so excited and honored to be part of this great competition. Our goal is to provide all competitors with a highly organized, fun and competitive competition experience that will be memorable and unique!!! This year, we have an expanded schedule of Professional, Pro-Am and Amateur events planned as well as a world-class panel of adjudicators. 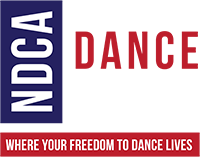 We have also added pro/am senior 2 multi-dance events by request as well as junior and youth amateur scholarships. All Open Scholarship events are a “Best of the Best” qualifier for the Ohio Star Ball! Mark your calendars, put on your dance shoes and join us February 1st-3rd, 2018 for the NEW Maryland Dancesport! Maryland is “Dancing for the Cure”! We don’t share the emails!